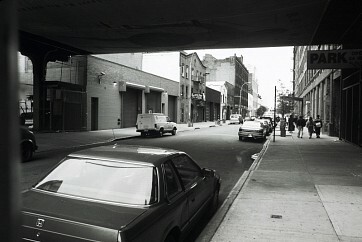 This project looked into the exodus of galleries from the Soho neighborhood of Manhattan to the Chelsea area, in the context of the transformation of urban settings by commercial and cultural forces. 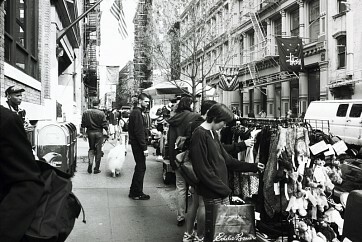 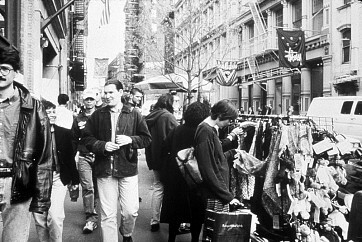 Retail stores in Soho were solicited, corresponding to the categories of Food, Fashion, and Furniture (the categories of businesses replacing galleries), requesting the loan of an object from those stores for the duration of the show. 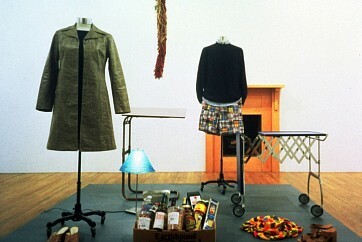 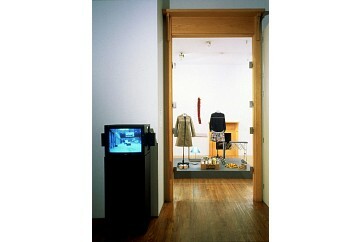 The objects (lent, or purchased when stores were uncooperative) were displayed in the gallery behind plexiglas. 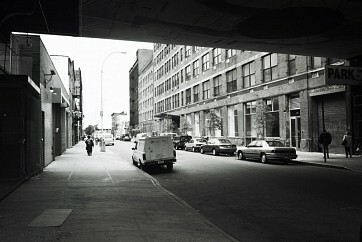 In addition, a video of relevant sites in Chelsea and Soho, photographed on the same afternoon, was shown alongside. 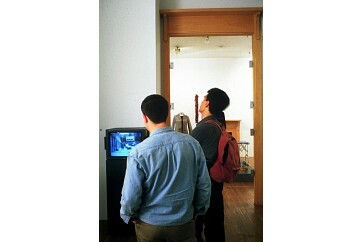 An e-mail exchange was conducted between the artist and the art historian Miwon Kwon for the duration of the planning stage of the exhibition; in book form it comprised a part of the installation.